Cancer is the second leading cause of death in the United States. Most of us have had the misfortune to experience cancer – either personally or through a friend or family member. While some cancers are caused by factors outside of our control, the good news is that many types of cancer can be prevented through lifestyle modifications. In fact, changes to lifestyle along with early detection could prevent almost half of all cancer deaths. Lifestyle choices and environmental exposures are the major risk factors for the vast majority of cancers. Smoking, lack of physical activity, alcohol consumption, and poor diet are four of the major lifestyle risk factors for a wide range of different types of cancer. Diet alone has been estimated to play a role in 30 to 40% of cancers. Some foods may promote or cause cancer while others may protect against it. In addition, diet can make an enormous difference to the recovery of a cancer patient. So what are some of the suspected links between food and the development or prevention of cancer? Studies have shown that when the calorie intake of a population rises, so too does the incidence of cancer. Conversely, when the intake of calories is reduced, the rate of cancer development is also reduced. In the developing world, where the rate of overweight and obesity is increasing, this is a concerning finding. Obesity itself is a significant risk factor for many cancers, including colon, breast in postmenopausal women, endometrial, pancreatic, kidney, and esophageal. It is therefore important to maintain a healthy weight. Physical activity levels are also linked to cancer. People who carry out regular, vigorous physical activity have a lower risk of developing colon or breast cancer. There is a strong correlation between cancers of the head and neck, and alcohol and tobacco use, especially when combined with low consumption of green and yellow fruits and vegetables. On its own, alcohol has also been shown to increase the risk of developing breast cancer, and alcoholism can lead to liver damage which can lead to liver cancer. High intake of animal fat has been linked to the development of colon cancer. There are long term studies that consistently show the link between high intakes of red and processed meats and an increased risk of developing colon cancer. In 2015, the cancer agency of the World Health Organization classified processed meat as a carcinogen (a substance capable of causing cancer), and red meat as a probable carcinogen. The way that meat is cooked might also play a role in cancer development. Broiling, frying, grilling, and smoking meat can produce carcinogens. It is best to choose meats cooked by these methods in moderation, and pair them with side dishes that are steamed, boiled, baked, or sautéed. As a person’s dietary fiber increases, their risk for colon cancer decreases. Fiber may also help remove carcinogens from the gastrointestinal tract by binding to then and carrying them out in the feces. In addition, many high fiber foods also contain phytochemicals that may also help protect against the development of cancer. Many studies have shown a clear correlation between eating a diet rich in fruits and vegetables and a low incidence of cancer. Fruits and vegetables are full of fiber, vitamins, minerals, and phytochemicals. Some of those phytochemicals are thought to be ‘anticarcinogens’, or compounds that stop the formation of cancer. Consuming sufficient dietary calcium may protect against colon cancer. We are also learning more and more about the importance of vitamin D for many aspects of health, including cancer prevention. The research is still young, but watch this space. What Can You Do To Help Prevent Cancer? Eat the right amount of calories for your gender, age, height, and physical activity level. You can find out here how many calories is right for you. Maintain a healthy weight through healthy eating and exercise. Limit your intake of red and processed meats (including hot dogs, ham, salami, bacon, sausage, and deli meats) to a few servings per week. Choose baked or sautéed meat over broiled, grilled, fried, or smoked. Limit your intake of total fat to no more than 30% of your calories. That is about 60g for someone eating an 1,800 calorie diet, 65g for someone eating a 2,000 calorie diet, or 80g for someone eating a 2,000 calorie diet. Limit your intake of foods high in saturated fat and added sugars. Not only can these foods cause you to gain weight, they will also leave less room for eating the healthier, cancer-fighting foods like fruits and vegetables. Be physically active. The American Heart Association recommends 150 minutes of moderate intensity aerobic activity (like brisk walking) or 75 minutes of vigorous aerobic activity (like jogging or running) PLUS muscle-strengthening activities on 2 or more days every week. Limit alcohol to no more than one drink per day for women, and two per day for men. 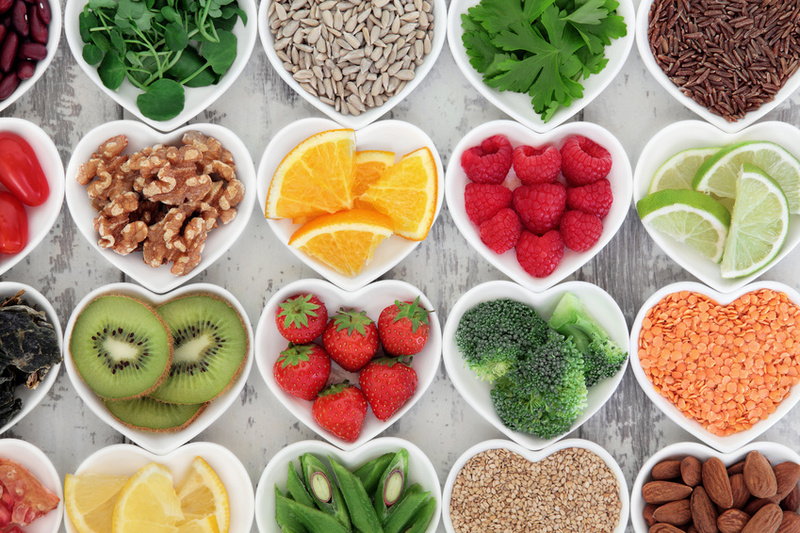 While cancer is not entirely preventable by diet alone, taking these steps could significantly reduce your risk of developing many different types of cancer. What a great post! I didn’t know that calcium and vitamin D are linked to cancer prevention.